After joining internationally acclaimed Australian band ‘Sons of Korah’ as backing vocalist in 2016, Anna stepped up her intent to begin her journey as a recording artist with the launch of an EP later that year. There had always been a plan to record some of her work but Anna felt really challenged to get this project underway after a conversation with a concert goer after a Sons of Korah performance. He had expressed his desire to be able to take the songs, that Anna had performed as support artist, with him to share them with a loved one whom he felt would benefit from hearing them. From this encounter Anna felt the weight of her responsibility and desire to be able to use her songs and music as a vehicle to bring encouragement and healing to others. Having attended the Victorian College of the Arts to study music, Anna has been leading worship in the church for a number of years and has performed live in a number of other forums including in her role as part of the internationally acclaimed Sons of Korah. From an early age Anna realized that whatever she did with her life, it would involve music. 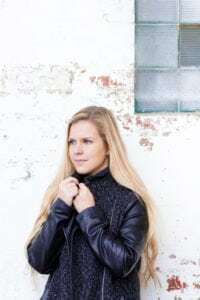 Her distinctive voice and heart for people have made Anna a greatly loved worship leader, singer and now, recording artist, as she releases her debut EP.